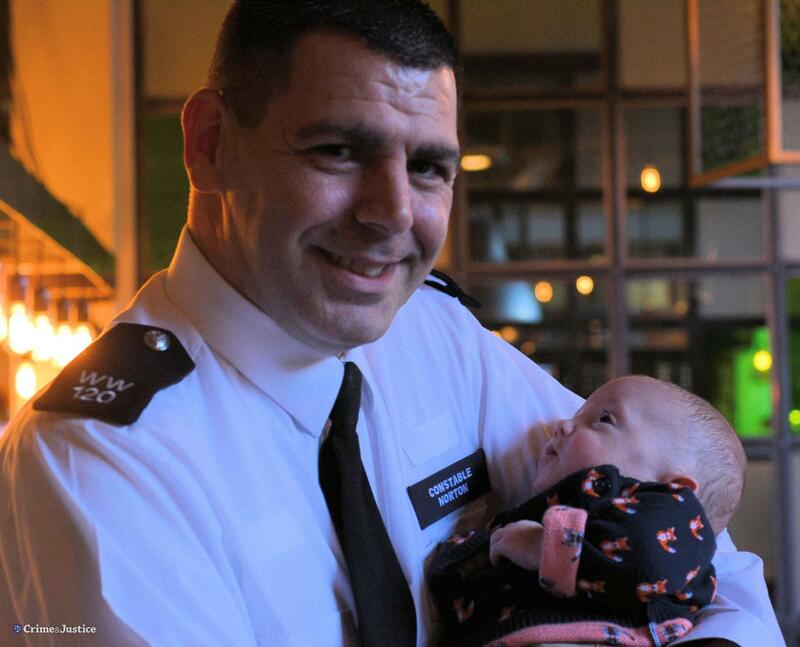 Police Officer Steve Norton was on patrol in London when he responded to a 999 call, reporting that a baby had stopped breathing. When he arrived at the caller’s house just minutes later, he found baby Harrison Paine unresponsive and clearly in need of urgent medical attention. Harrison’s mother Jo, who had only brought him home from hospital, days earlier, discovered he had stopped breathing as he lay in his cot. Despite the fact he was wearing full police body armour, he managed to get there in enough time to allow the medics to stabilise Harrison and save his life. Next Post: On the Twenty-Third Day of December . . .
That’s such a good story. “Happy Christmas”! What a wonderful story, and today I learned it’s 999 in London which seems easier and more practical than 911. Very wonderful story. So glad the baby is ok 🙂 What a great gift! 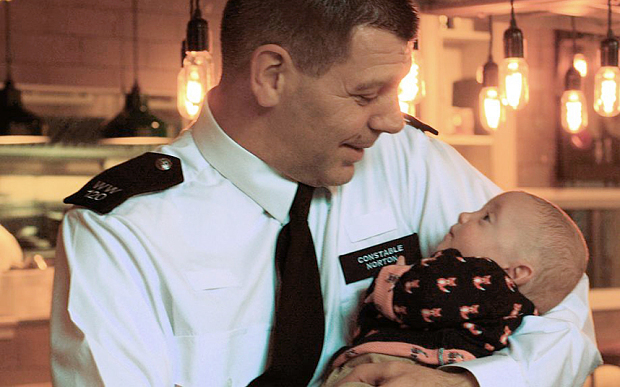 Hats off to the Constable. Uplifting. thank you for sharing. Terrific news. What a guy!! !